— by Kenneth Myers, Esq. Pennsylvania has become a state with a significant majority of voters registered as Democratic. Yet, our Congressional delegation, state Senate and state House of Representatives are all at least 60% Republican. A substantial part of the explanation to this is an adroit political redistricting: “packing” (squeezing the opposition’s votes into a few districts) and “cracking” (splitting pockets of opposition voters into separate districts where they cannot form a majority) to preserve the dominant party. 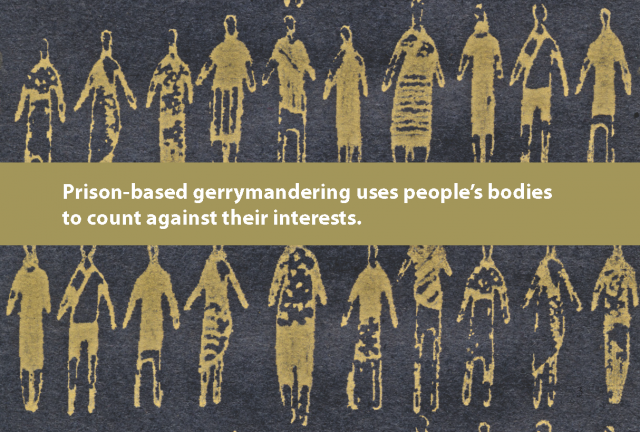 The federal Constitution requires legislative districts to be rebalanced at least every 10 years in order to achieve population equality (“one man, one vote”). 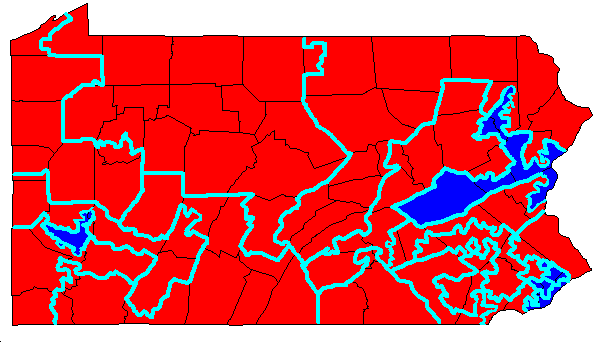 The Pennsylvania Constitution requires that legislative districts be compact and contiguous, and avoid splitting county and municipal boundaries to the extent possible. But in actual fact, our legislative districts split hundreds of counties and municipalities. “Problem” counties, such as the recently-turned-Democratic Montgomery County, are split many times in all directions to dilute their voting power. In 2011, during the legislative redistricting process, concerned citizen Amanda Holt prepared a redistricting plan with minimum splits on her computer and submitted it to the Legislative Reapportionment Commission (LRC). The LRC largely ignored Holt, coming up with its own highly political redistricting maps. Holt and others took the matter to the Pennsylvania Supreme Court, pointing out that her plan split seven fewer counties, 81 fewer municipalities, and 184 fewer wards than the LRC plan. Although the six sitting members of the court were divided equally between Republicans and Democrats, Chief Justice Castille voted with the Democrats to reject the LRC plan. The revised plan proposed by the LRC in June 2012 reduced the number of splits, but not to the level of the Holt plan: The LRC plan had 221 splits of municipalities in state House of Representatives districts, compared to 86 in the Holt plan. The LRC plan has 37 splits of municipalities in state Senate districts, compared to 17 in the Holt plan. Holt and a number of other citizens appealed again to the Pennsylvania Supreme Court. Last week, that court unanimously upheld the revised LRC plan. In a lengthy opinion, the court stated its continued support for the goals of the state constitution, that voting districts be compact, contiguous and conformal to municipal boundaries, but concluded that other considerations such as population equality, historical district lines and even political gain, could be considered by the LRC as well in reaching its conclusion. In the last four pages of its fifty-eight page decision, the court basically concluded that the constitutional requirement, of avoiding division of political subdivisions to the maximum extent possible, could be modified by political considerations, such as retaining incumbents, so long as the scheme conformed with looser standards of ‘one-man, one-vote’ than had previously been accepted in Pennsylvania, and its divisions of political subdivisions gave better heed to subdivision boundaries than schemes approved in prior years.